"If a girl can change her own life, she can change the lives of girls everywhere." Girl Be Heard develops, amplifies and celebrates the voices of young women through socially conscious theatre-making. GBH uses theatre, education, and storytelling to engage today’s girls. Our listening model provides a fearless space for girls to speak honestly, develop community, engage in self-discovery and self-expression, think critically, hone artistic and leadership skills, and become activists for issues they care about. We have seen that once girls are able to find their voices onstage, they go on to use their empowered voices in all areas of their lives. Since 2008, we have grown from a small group of volunteer artists to a global movement. Our Company has grown from 12 members to more than 170. In addition to performing and delivering workshops in and around NYC, we have performed in schools, detention centers and refugee camps in 7 countries. Your donation of ANY amount helps us to continue to bring our work to audiences that would otherwise not have access. 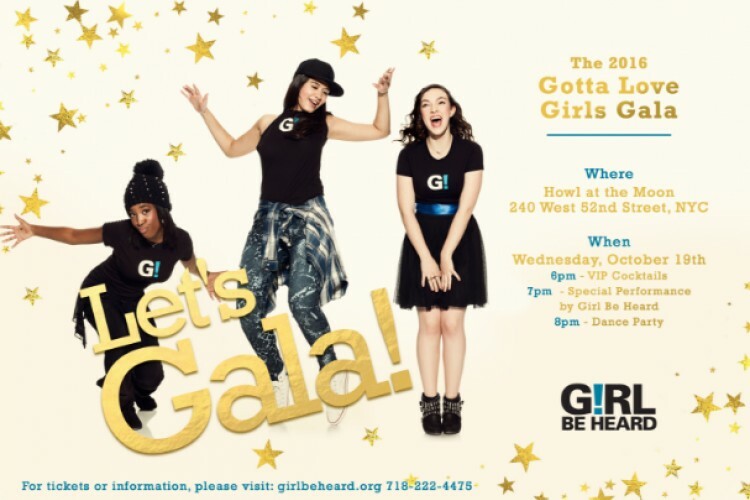 Girl Be Heard Community Campaign for the Gotta Love Girls Gala! 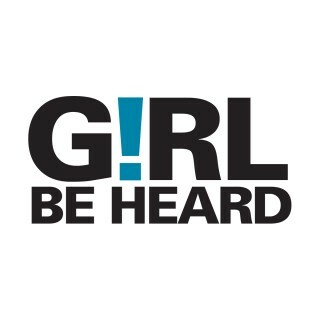 Girl Be Heard (GBH) is a NYC-based nonprofit theatre collective & educational program that develops, amplifies, & celebrates the voices of young women through socially conscious theatre-making. Founded in 2009, GBH is a cutting-edge arts organization & United Nations NGO that engages audiences locally & globally in addressing gender inequality. Being a girl is risky business. 7 of 10 girls experience physical or sexual violence in their lives. Our girls navigate obstacles from body image to gun violence at the complex intersection of race, class, & gender, & all during their most formative years. GBH provides a safe space for girls to speak honestly, develop community, think critically, hone leadership skills, & become activists for issues they care about. As part of our team of passionate change-makers, the GBH Amplifiers & Gala Committee have come together to raise funds in conjunction with the 2016 Gotta Love Girls Gala. Every year this gala, a momentous evening of theatre, dancing, & celebration, honors two amazing women role models & mentors as Fairy Godmothers to our girls. The event also serves as the organization's annual fundraiser. Our community's support enables GBH to continue & improve its workshops, after-school programs, & performances. No contribution is too small; any amount can help a girl be heard! We hope you're able to donate via our campaign, purchase a ticket to our gala, or help spread the word. Thank you & welcome to the Girl Be Heard family!